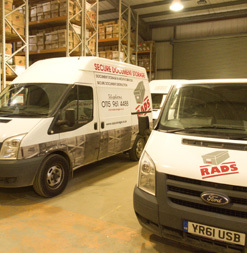 RADS have a proven track record in archive management and secure document storage in East Midlands with many large organisations and smaller companies as customers from both the public and private sectors. Businesses are obligated to keep most documentation for a statutory period, RADS meet this growing need and with the rising cost of office space provide a cost effective archive document storage solution. RADS pricing system is straight forward, we charge one per box per annum fee (billed monthly in arrears), all retrievals, bar-coding, and administration is included and also…. Free Deliveries and Collections – This means customers can budget easily and are assured that there are absolutely no hidden extras or set up costs. All archive document storage paperwork is bar-coded and the details entered into our database tracking system which shows all the information required for identification and retrieval, the current location and a complete movement history. We are ISO9001 accredited, fully comply with the Data Protection Act and all our staff are CRB checked. Your documents are now very safe, easily accessible and available 24/7 and you also have more space available for functional cash generating activity. As well as secure document storage, we offer document scanning services and document shredding services in East Midlands as part of a tailored document management solution for your business. For more information or to enquire, call us on 0115 9614 111 or send an email to info@radsstorage.co.uk. 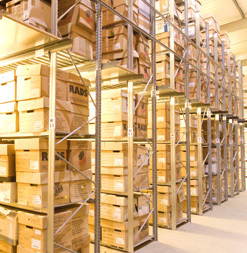 We offer a secure and reliable service to all of our clients, backed by many years of experience in the document storage industry. We provide a fast and efficient service with easy document retrieval, free collection and free next day delivery. 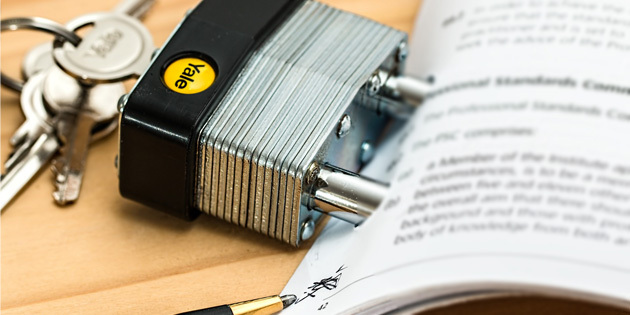 Our quality assurance policies and professional accreditations mean that you can trust us to keep your documents safe and secure. Fill in an online quote request and we will send you some free storage boxes so you can see the quality of our boxes for yourself. RADS offer a free box collection service as we base our service on one tariff, this ensures that there are no hidden costs and the price you are quoted is the full price without any additional extras. For new customers, there is no setup costs for our secure document storage service, so the initial collection of your documents and the bar coding of each storage box is and will always remain free of charge and all part of our excellent service. Our 80,000 sq ft facility is extremely secure, with a double-gated site that includes monitored CCTV and alarm systems as well as strong rooms and fireproof vaults for added security. We operated a restricted access policy for non-staff and our facilities feature key coded entry systems, as well as temp/humidity monitor to ensure that all our secure document storage facilities are kept at the optimum temperature. RADS also have a conference room where clients can read and examine their documents, with photocopying, telephone access and fax facilities. We take the safety and security of your documents very seriously; we have a large self owned facility with 24hr monitored CCTV surveillance, night security guards and a monitored intruder alarm in line with all European regulations. 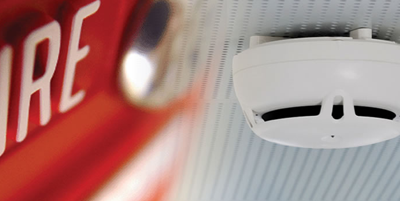 We have robust fire protection at our archive document storage facilities which include temperature and humidity controls and a monitored fire detection system. Our storage boxes have also been specifically designed from a special grade of card which is extremely fire retardant. RADS can store data tapes and microfiche in a highly secure, environmentally controlled vault. 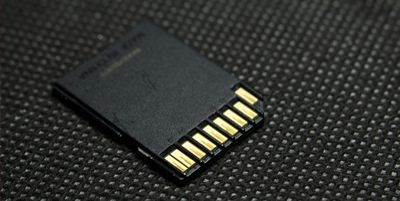 ​We can also store and deliver data tapes on a daily, weekly basis. Your tapes are collected from your site and retained in a strong fire resistant box for transport. Browse our FAQ’s to find out further information about our Secure Document Storage service and how we operate. Is there a minimum contract length? Is there an upward limit to the number of boxes or files I can store? No, there is no limit, you can store as many boxes as required. 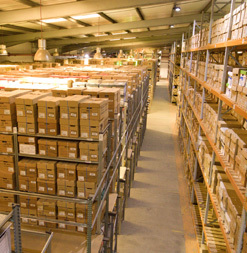 We pride ourselves on being able to offer customers unlimited expandable storage space. How easy is it to retrieve a file or box that has been archived? Very easy, all we require is a phone call or email to let us know what you want to retrieve. All archived documents will have their own unique reference number to make it easy to retrieve files quickly and efficiently. Is there a minimum number of documents I have to store with you? No, the minimum is just 1 box, which can contain as many or as few documents as you required. Can I get same day delivery? Yes, 24/7 same day delivery is available in emergency situations. Do you have to use Rads boxes? No you can use your own boxes, however the box needs to be in good condition and must include a lid. We recommend using Rads boxes as they have been designed to specifically fit on our shelving units, which can save storage space when compared to using other boxes. Complete the form below to receive a quote for our Archive Document Storage service and receive your 10 free storage boxes with each new customer enquiry. Document Destruction for Schools and Colleges – What documents should be shredded? If you have any questions, contact us today to see how we can help.